For smaller gardens, this variety grows to around 2–3' tall. 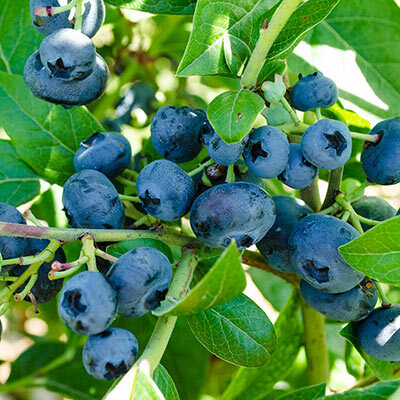 While the plant is conveniently diminuitive, your harvest won't suffer—these blueberries taste is similar to those on wild varieties, but grow larger. When the bush matures, it will yield an excellent 3–7 lbs per season. 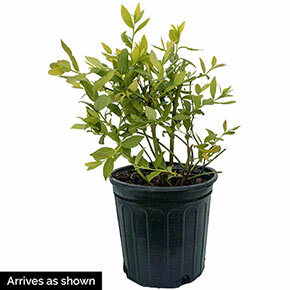 The plant is great for northern zones too, withstanding temperatures as low as –35°F. Ripens mid June. Northblue Blueberry ships now, garden–ready in a gallon–sized pot.